St Pancras New Church's Crypt Gallery is worth a visit whatever art happens to be hanging on the walls, for the sheer atmospherics. But the next exhibition, opening on 13 December, is an installation worth seeing in its own right. London Souls brings together work by Ed Gray, the London artist who specialises in colourful street scenes from around the capital. 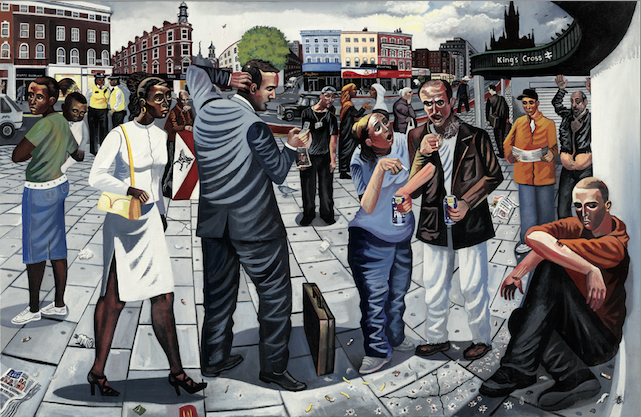 Check out his perspective-warping Afternoon in the Cross above, showing the street life of nearby King's Cross. London Souls runs at The Crypt Gallery, St Pancras 13-22 December, open 10am-6pm. Entrance is free.